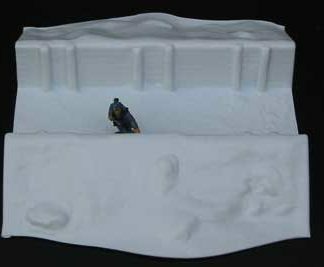 This Trench T Junction plastic model is suited to 28mm SciFi wargame systems and use in dioramas etc. 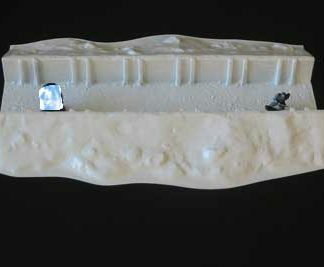 A sturdy modular trench section, suitable for different periods of wargaming. Use with Z237, Z238, Z240 and enhance your trench set Z239 to create an inexpensive trench system. See Z239 for a gaming table width trench system. Requires simple cutting out. These items are supplied in matt white polystyrene, ready for painting and decorating as required.